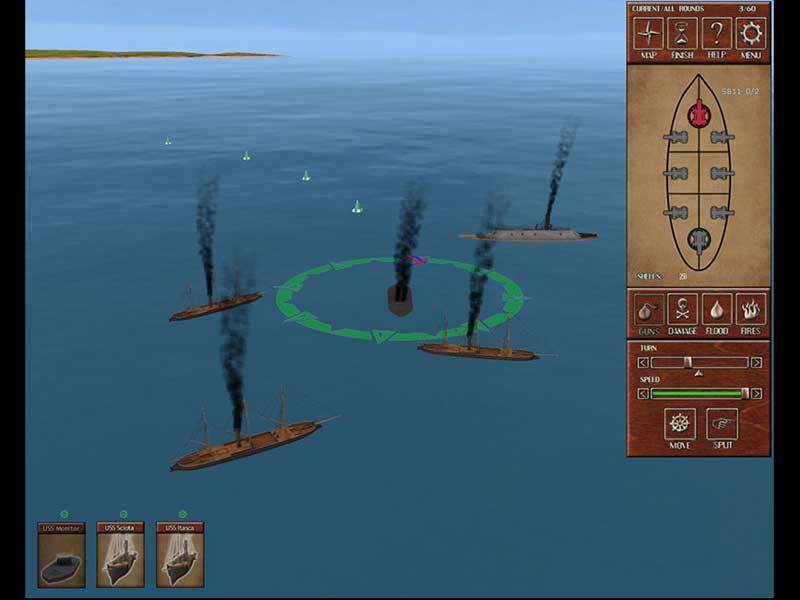 Battle of the civil war ironclads. 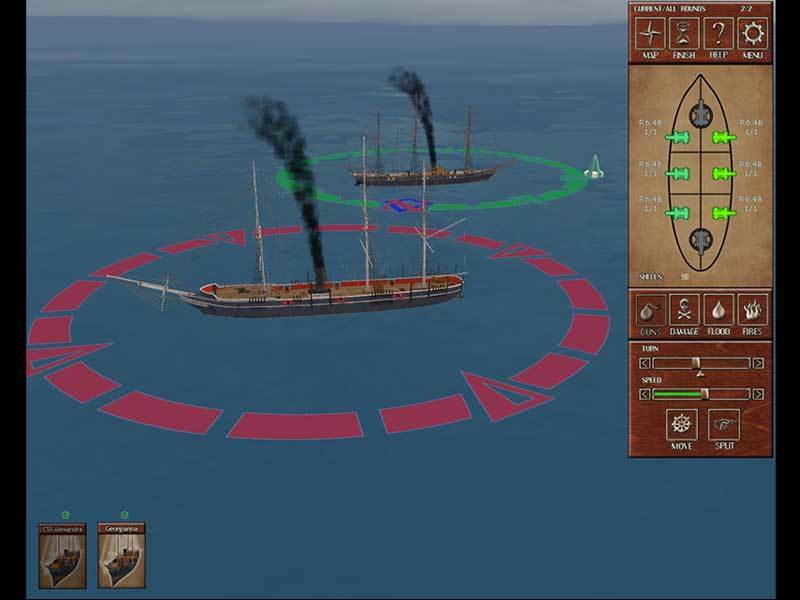 Take part in battles from USS Monitor vs CSS Virginia before battles between armored squadrons of steamships and other vessels. The flow of time is organized into rounds. 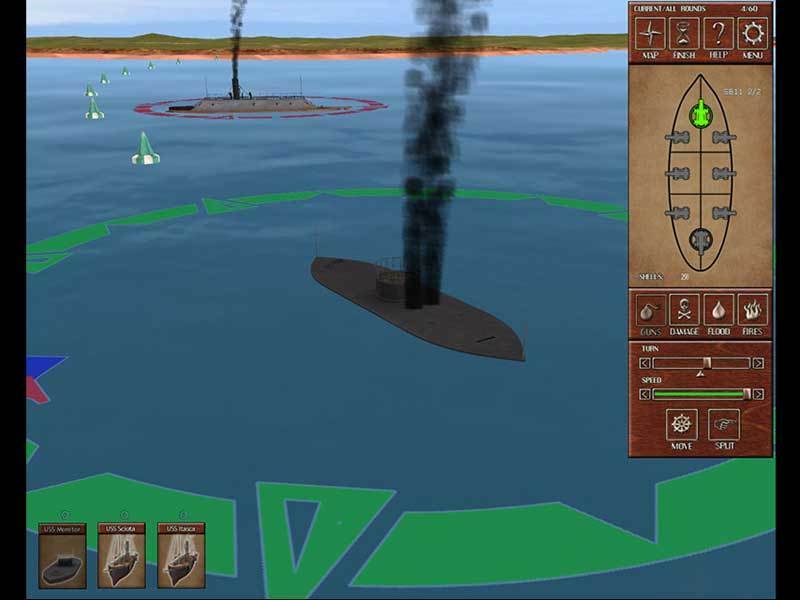 Within the limits of each round, the player and the computer opponent take turns executing all actions possible within five minutes of real time combat for each of their ships. 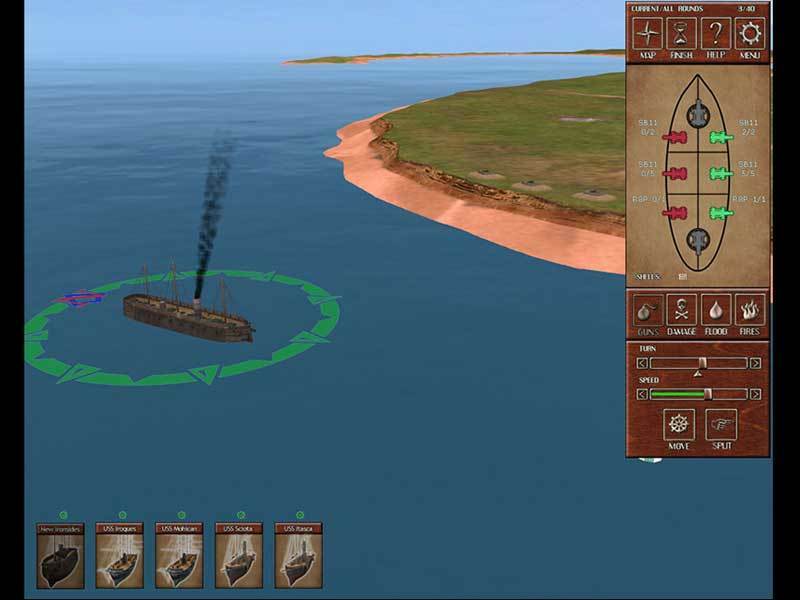 At the moment when the selected active ship is carrying out an action, all other game units are motionless. Time for decision-making is not limited. Game locations are presented in real 1:1 scale and are not divided into cells or hexagons. 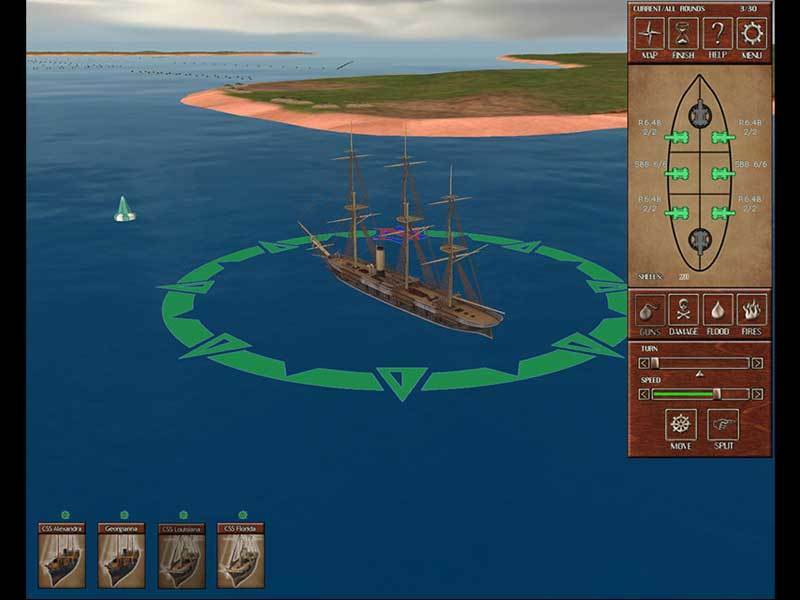 The trajectory of movement of the active ship is determined by laws of physics and calculated using realistic speed, size and shape of a unit. 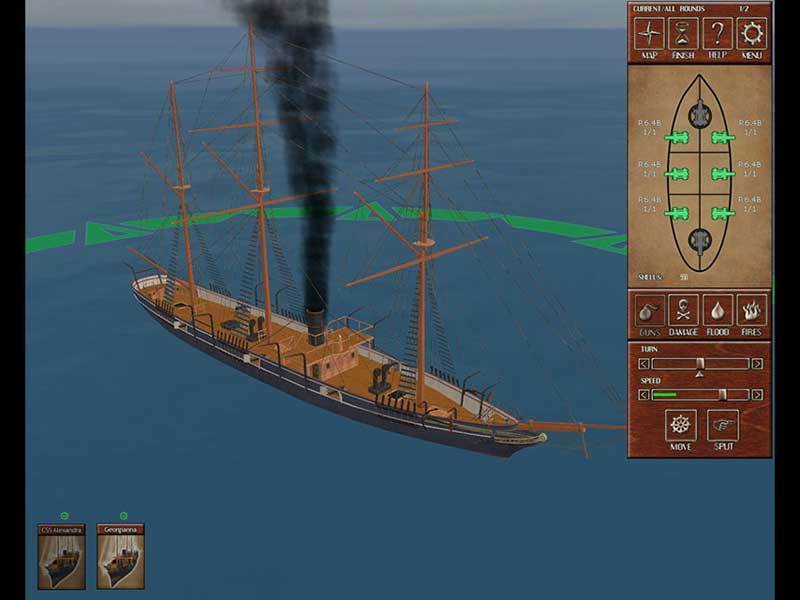 The campaign based on alternate outcomes of events which assume a more favourable position for the Confederation in the first two years of the conflict, including diplomatic recognition and construction of a stronger, more balanced Southern fleet in European shipyards. 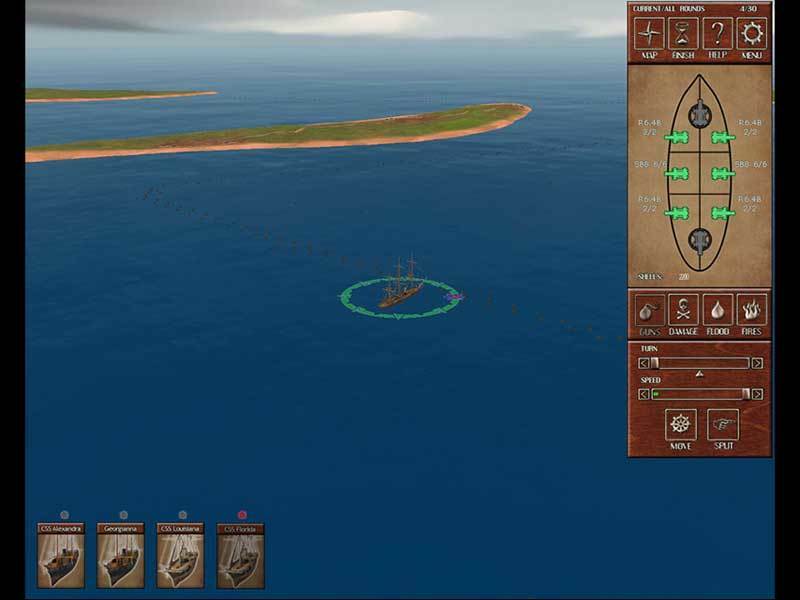 USA and CSA campaigns: 14 missions, 80 hours of game time, 54 unique ships. 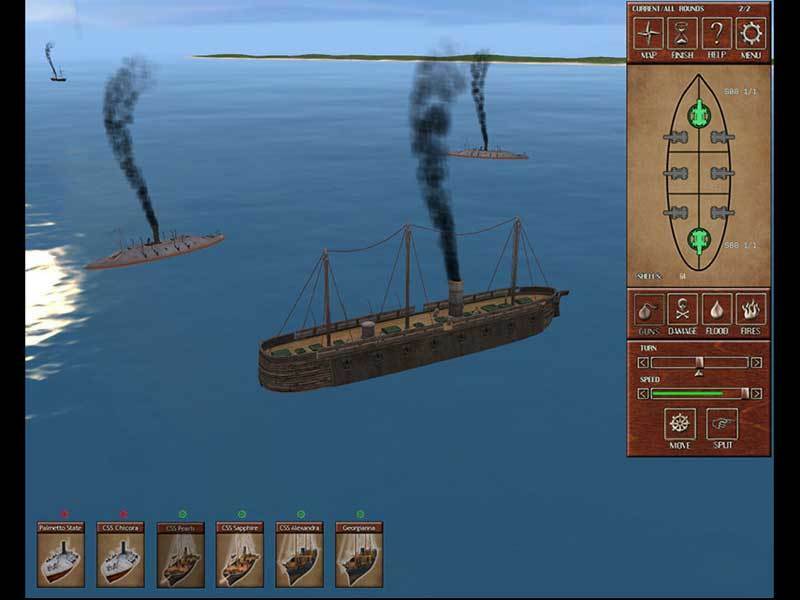 USS Monitor, CSS Virginia, USS New Ironsides and others Civil War ironclads 3d models.